Terry Barksdale came to Mexia Baptist the first of April, 2017. 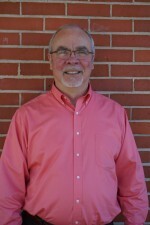 He had previously served as Minister of Music and Senior Adult at First Baptist Talledega from October, 2004 through March 2017. Prior to that he served Brookwood Baptist Church in Shreveport, Louisiana for fourteen and a half years. He and his wife, Melissa have been married since November, 1989, and are the parents of two sons, Andy and Evan. Both of the boys are graduates of the University of Alabama. His wife, Melissa, a native of LaPlace, LA, earned a Bachelor’s Degree in Education from Southeastern Louisiana University in Hammond, LA, and is an Elementary School teacher. She has been teaching for 36 years. Terry is originally from Bessemer, Alabama where he graduated from McAdory High School in 1972. Following high school he went to Samford University where he received a Bachelor of Science in Music Education in 1978. He returned to Samford and received a Master of Music in 1984. In the fall of 1987, he felt God’s call to attend Seminary at which time he enrolled at New Orleans Baptist Theological Seminary and received a Master’s Degree in Church Music with a specialization in conducting in 1990. He has been active in The Alabama Singing Men since 1978, having served as President in 2009-2010. He was also active in The Louisiana Singing Ministers while serving Brookwood Baptist, serving as their President 1995-1996. He has also served on the Executive Council of the Baptist Church Music Conference 2011-2013. 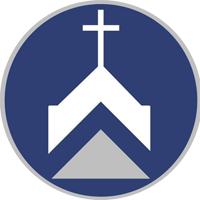 Terry has served churches in Montgomery, Bessemer, Cullman and Talladega, Alabama, Hammond and Shreveport, Louisiana and now Mexia.